Are streetcars-in-traffic skeptics sacrificing goodness for perfection? Jaffe, Walker, Yglesias, and Capps have no duty to support Team Transit [sic!] no matter what. They should speak their minds. And anyone who supports mass transit expansion should want it to be as close to perfect as possible. I worry about streetcar criticism that states that a streetcar without every desirable feature is worse than nothing. But streetcars also have another set of opponents: Those who simply don’t want to fund any transit at all, regardless of its specifics. They seize on any flaw to stop projects that might change their street or interfere with their driving. So I worry about the effects of this latest trend in streetcar criticism. 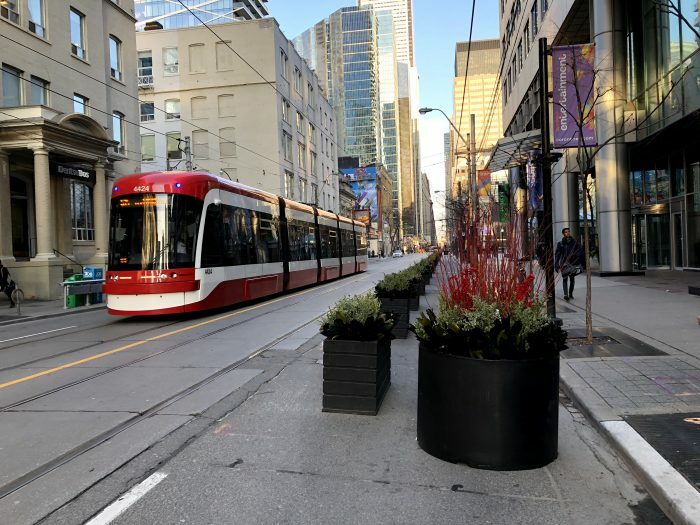 While streetcar projects can and should be better, many of these articles go further and either imply or outright state that a streetcar without every desirable feature is worse than nothing. That’s not right. Perfect transit is absolutely a goal, but the perfect must not be the enemy of the good. There are plenty of reasons why a streetcar might be worth supporting, even if it isn't as long, frequent, or speedy as we might like. I have spent my whole career helping people value what's really good-but-not-perfect in transit choices. 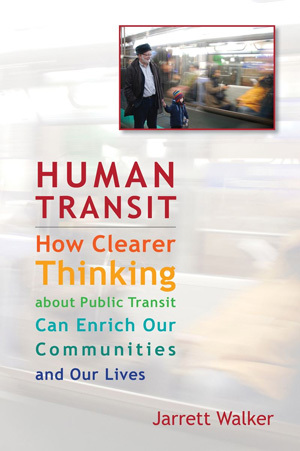 Our difference is that in Alpert's framing of the question, the fundamental good to be defended at all costs is the streetcar technology, while to me the fundamental good is the liberty of large numbers of human beings, and their access to both happiness and economic opportunity. Let us take Alpert's perfect-vs-good frame and deploy it differently. Many earnest American leaders visit places like Bordeaux and Strasbourg and agree their cities should look just like that. This looks perfect to them, but they realize they'll have to start with something that's good-but-not-perfect, an imperfect good. Well, which "good" element should we start with? In Bordeaux and Strasbourg, the streetcar (never mixed with traffic) is a result rather than a cause of a whole bunch of other things: policies that limit car access, for example, so that transit of any mode can run reliably and so that it delivers people into a rich pedestrian space. The Bordeaux and Strasbourg streetcars also began with the "imperfect good" of bus services, which were used to build robust lines with actual existing markets that would support the future rail service. Why should the "imperfect good that we start with" be the streetcar instead of a really liberating transit system run, for now, by buses? Why must we start with a hunk of decontextualized technology rather than our liberty and opportunity to go where we want to go? Imperfect transit can still be good for cities. Millennials, empty nesters, and others want walkable, livable urban places. Unfortunately, there aren’t enough of those in the United States, which is why they’re increasingly expensive. There are plenty of places on the edges of cities that could become more walkable, more urban, and have more of a sense of place. To do that, they need better transit, more amenities, and more residents—which generally means more density. When such a place achieves greater walkability and urbanization, the factors making it so strengthen over time. 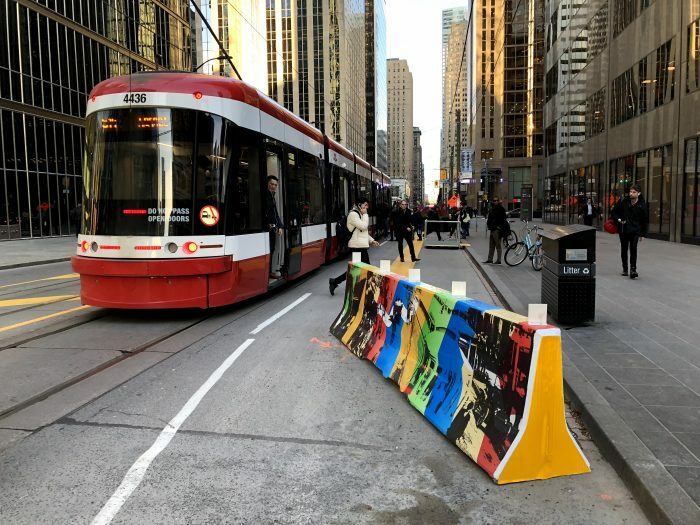 … It’s a momentum game, and even an expensive, sub-optimal transit solution—such as a less-frequent streetcar with no dedicated lane —can push the cycle in the right direction. The sheer abundance of places that need to be made more walkable is actually the strongest argument against the streetcars-in-traffic campaign. In transit, if it doesn't scale, it doesn't matter. Streetcars-in-traffic have helped enrich a few superdense districts, but they are far too slow, unreliable, and expensive to scale to the size of our urban mobility problem — at least not as long as they remain stuck in traffic. (Once they get out of traffic, they are essentially light rail.) Nor are streetcars remotely necessary for the development of walkable, urban places. If you want to see how a city massively expands the usefulness of transit, and thus the potential for transit-oriented lives, look to what is happening in Houston. Massive, scalable, high-frequency bus grids that are useful for getting all over the city, and that can be created now. An imperfect streetcar might be all your city can afford—for now. … Your city can make it better later, and may even plan to. The frame here is: "The streetcar technology is the essential good, and people's ability to access their entire city is a nice-to-have that we hope to add in the future." But even if you accept that frame, what's the track record of claims that modern streetcars-in-traffic, first built in compromized ways, have led to later efforts to improve them? Perhaps you should study Portland, which has been living with this product for longer than any other US city. The streetcar has been extended up to the limits of usefulness for such a slow-by-design service (about 3.5 miles). But there are no serious proposals for taking cars out of its lanes for enough distance to matter, nor is there much energy behind extensions. Why? The Portland Streetcar has taught Portland residents a lot about what's really matters as you define an "imperfect good." Listen to what they've learned: Frequent, useful, reliable transit — using tools that scale to the scale of the whole city — is the "imperfect good" that matters. I don't have time to respond to everything that gets published on transit, but Robert Steuteville's must-read piece today on the Congress for the New Urbanism blog, which explains why we should invest in transit that's slower than walking*, certainly deserves a response. Perhaps you've already noticed this piece and are already penning a response (even though several already exist on your blog!). It seems to be another example of the "urban designers are from Mars, transportation planners are from Venus" phenomenon you described some time ago. I admire and respect Robert, and I think his "place mobility" concept is quite sensible. Indeed, one can argue that the first and most powerful rung on the transportation "efficiency" ladder is to ensure that destinations are within walking/bicycling distance wherever possible, obviating the need for cars and transit in the first place, in turn freeing up the latter two for long-distance travel. But after the "place mobility" concept, I think the article begins to fall apart. It seems to me that it's easy to romanticize slow transit if you don't have to rely on it all the time. With all due respect, I get the impression that many "streetcar tourists" use transit only occasionally when visiting a new city, or perhaps to go to a ball game, but for little else. And I get it: if much of your day-to-day travel is characterized by routinized, featureless car trips between work, shopping, meetings, and whatnot, I can see the allure in taking a break to relax and 'go slow,' as it were. But the romantic impulse towards slow transit wears away quickly if you have no choice but to rely on it all the time! I don't have a car, so I rely on buses that travelexcruciatingly slowly, wasting much of my time. (I have, for example, learned to pad an hour between meetings and appointments in different parts of town, simply because the mixed-traffic transit takes so long to get from A to B to C.) So, rather than viewing slow transit as an opportunity to unwind and watch the street life pass by, I see it as a precious-free-time-gobbler. I love to be immersed in street life when I'm walking, but when I inevitably need to travel beyond walking distance, I want to get there quickly. Does this make me a so-called "speed freak?" If so, wouldn't all the urban designers out there praising slow transit for others - while they hurriedly shuttle from charrette to public input meeting to office to daycare in their cars – be "speed freaks" too? The reality is that most of us – walkers, bicyclists, drivers, and transit riders alike – are "speed freaks" most of the time, simply because we prefer minimizing travel time and dedicating our precious free time to friends and family. And this gets back to "place mobility:" it is great when many daily necessities – the grocery store, the bank, the library, the elementary school – are within walking distance. But – and this perhaps reveals a conceptual flaw in New Urbanism – not every place can or should be a self-contained "village." As Jane Jacobs argued, the whole point of cities is to offer rich opportunity – opportunity that requires travel beyond whatever a "village" can offer: "Planning theory is committed to the ideal of supposedly cozy, inwardly-turned city neighborhoods. [But] city people aren't stuck with the provincialism of a neighborhood, and why should they be – isn't wide choice and rich opportunity the point of cities? (Death and Life, 115-116)." For example, I may be fortunate enough to have a daycare center on my block, but perhaps I want to send my kids to a magnet or private school across town – a school better than my neighborhood school? So would my kids rather wake up at 5am to take a streetcar sitting in traffic to get to school, or wake up at 7am to take a faster subway or a bus on a bus lane? I may be fortunate enough to have a pharmacy on my block too, but what if the doctor I trust is across town? Would I rather take the whole day off from work to take a streetcar sitting in traffic and delayed by a poorly-parked car to get there, or could I take a half-day by taking the subway or the crosstown express bus? For better or worse, there will always be long-distance destinations, and I suspect transit riders will continue to prioritize speed for these trips. As for the short, local trips made possible by "place mobility," I still wonder whether mixed-traffic streetcars are the best bang for the buck. Yes, they are a placemaking tool, but they're not the only (or the cheapest) one. If, as admitted in the article, mixed-traffic streetcars don't particularly offer useful transit, nor are they necessarily the only/best/cheapest placemaking tool, then I have to wonder if 30 years from now we'll look back on them as yet another expensive urban renewal fad. (American cities are still littered with half-dead "game changing" fads from the 50s, 60s, 70s, and 80s.) We ultimately need rapid transit and "place mobility," but mixed-traffic streetcars are hardly a prerequisite for creating the latter. So far I've hesitated voicing these opinions to fellow urbanists because I don't want to alienate any friends, but I'm increasingly skeptical of the streetcar fervor. Given that (A) mixed-traffic streetcars are simply slower and less-flexible than mixed-traffic buses, and (B) that the benefits that are packaged with properly-prioritized streetcars (dedicated lanes, signal priority, durable shelters, etc.) could just as easily be packaged with buses, I wonder if the streetcar fervor is an example of simple "technograndiosity." At the end of the day, I'd rather have ten bus lines reaching twenty useful places than one streetcar line reaching two useful places. *Most new streetcars in the US have average scheduled speeds of 6-10 mph, a jogging or running speed for able-bodied adults. However, actual travel time (compared to a private vehicle alternative) includes the average wait time. Most US streetcars are not very frequent (usually in the 15-20 minute range) given the short trips that they serve, so it is the high wait time, combined with the very slow ride, that makes them slower than walking. Again, this calculation describes the experience of an ordinary working person who needs to get places on time, not the tourist or flaneur for whom delay is another form of delight. Thanks so much for your note. I love streetcars too, for all the reasons you mention. But all that beauty is expensive, and when we choose something more expensive, that means we can't afford as much of it. That's a big problem for transit, because transit needs to be abundant. It needs to go lots of places, so people can rely on it for lots of purposes. That's why buses have to be respected, and have to be improved, because they're the only form of transit that we can afford to extend to all the parts of the city that need and justify good service. Buses generate lots of real estate development too, although they're usually not given credit for it. Yes, streetcars are driving some development right now, but that's also because lots of people are saying that streetcars drive development. Streetcars are cool, in the same way that certain clothes are cool among people your age. The real estate market is like your friends at school: It wants to do what the "cool" people are doing. And cities that have lived with streetcars for a while have mixed feelings about them. For example, in Toronto they've kept their old streetcars and run them in mixed traffic, and you'll hear lots of frustration with them. In fact, the mayor there is trying to kill light rail projects, and he does this by calling them "streetcars." That's a dishonest description of light rail, but think about why he would say it: He says it because knows that many people in his city hate their slow and unreliable downtown streetcars and don't want any more of them. 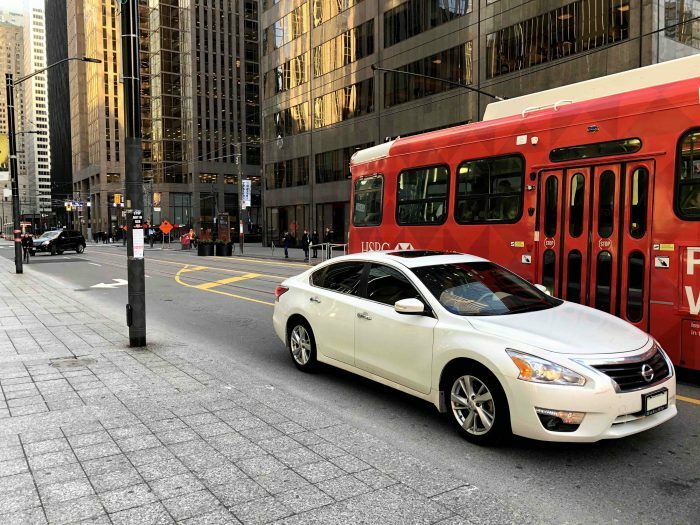 As more new streetcars get built in mixed traffic, more and more people are going to figure out that if you're stuck in traffic, you'd rather be on a bus, because a bus can maneuver and often get through where a streetcar is stuck. I have very different feelings about "streetcars" that have their own lane, but I don't think of those as streetcars at all. That's light rail, like the surface parts of your city's Green Line. Anyway, I've thought and written a great deal about this. The piece that you probably read, because it gets the most attention, is this one, but these two are also important. Thanks so much for writing to me. It's great to hear about your interest in transit and your ambitions. When I was in 10th grade I knew my city's bus system by heart and hung around the transit agency's planning department after school. I was mostly a nuisance, probably, but I had just enough good ideas that they kept me around. Don't be afraid to be so audacious, at the right time and place. streetcar in atlanta: cool, but is it useful? I have an opinion piece in today's Atlanta Journal-Constitution. It's about the challenge of frequency for short downtown circulators such as the new 1.3-mile Atlanta Streetcar. "I think frequency is an overrated thing. Let's say there's a 20-minute [wait]. You can look on your phone, wait inside and have a beer." quoted last August in Willamette Week. Note that Mr Fry is referring to a very slow service (the original segment of the Portland Streetcar is now scheduled at around 6 miles/hr) which is useful only for relatively short trips around the greater downtown area. If you're interested in Vancouver and missed my "debate"* with Bob Ransford about Broadway rapid transit at Gordon Price's blog Price Tags, well, it's not to late to pile on. It refers back to one of grand debates on this blog, the question of "Is speed obsolete?" raised by Patrick Condon. Gordon says our debate* the most commented piece in the history of his blog, and it's generated fierce Twitter traffic. Apparently, Bob and I will be on CKNW News Talk 980, "The Bill Good Show" on Monday (or maybe we're just taping it Monday). The occasion appears to have been the Vancouver City Council's decision to endorse a complete subway under Broadway, which is not much of a surprise to those who've been following this for a while. Bob criticized the project on development potential grounds, and as usual, I tried to broaden the question a bit beyond that. Finally, I am no longer the only international transit expert who hasn't been to Hong Kong. We stayed at Causeway Bay, on the east-west Island Line at the bottom of the diagram. What if we had wanted to get to Hung Hom, more or less directly north of there across the harbour? This is not a minor station; it's the main access point for the light-blue line that extends out of the city, up to the Mainland Chinese border. It appeared that the answer was the old one: "If that's where you're going, don't start from here." In many major subway systems of the world, you just wouldn't encounter this difficulty traveling between any pair of stations, certainly not in the dense urban core. I did enjoy the double-decker trams that ply the main east-west trunk across the Island (mostly right on top of the MTR Island Line). They have an exclusive lane and in stopping every 500m or so they clearly complement both the faster subway and some of the buses alongside them — the latter tending to branch off in more complex paths. The trams are certainly stately, almost surreal in their height and narrowness. I can't speak for their efficiency, but they're not stuck in traffic. They stop at platforms in the middle of the street, some rather awkward in their access. This one is meant to be accessed only from an overhead walkway, but obviously many people jaywalk to follow the natural desire line. Indeed, for a city so densely pedestrianized, I noticed a number of pedestrian challenges in the infrastructure. Note that in discussing the trams in particular I am being careful to avoid the fallacy of technology-focused transit tourism. While I enjoyed the trams and folks seemed to be riding them, I don't immediately tell you that these things are so cool that your city should have one. I don't know enough about how these function in the context of the larger Hong Kong network to be able to tell you that, nor do I know enough about your city. The real muscle of transit in Hong Kong was clearly the buses. Double-deckers, massive in both size and quantity. These, it seems, are what really moves the city beyond the limited range of the MTR subway. I'm coming to view the double-decker as the logical end-state of bus development in dense urban environments. They use curb space so much more efficiently than their alternative, the articulated bus. The sheer volumes of people I saw being moved on these things was unimaginable on long single-deck buses. There simply wouldn't have been room at the stops. By the way, I noted bus lanes wherever there was a lane to spare, as in Paris and a number of other world-cities where transit is essential to urban life. On the downside, I could have wished — as in many cities — that the buses were more organized, and that there were a map showing how at least the frequent ones fit together as a network. Instead, I saw many signs that the buses weren't being presented as a cohesive system, but rather as a pile of overlapping products, as if from different vendors. In fact, I nearly missed a desired bus because I couldn't find its sign among so many others. Finally, and most important, I noted a key bit of infrastructure that identifies cities that really value buses as an essential part of the mobility system. Adequate bus facilities right where they're needed. This one is at Wan Chai ferry terminal. There's a similar one across the harbor at Tsim Sha Tsui, right where ferries converge, and towers step down to the water, and tourists gather every evening to watch the skyline sparkle. In short, these bus terminal facilities are on unimaginably expensive real estate, but they are viewed as essential infrastructure for a network that's essential for the life of the city, just like streets themselves, so they're there. Many American and Australasian cities don't quite have this commitment; there, many still long to treat bus facilities as things that can be shoved out of the way. Finally, before you attack me for having missed the richness and inner logic of public transit in Hong Kong, or for having noticed only things that connect with my own preoccupations, note that I was there for 48 hours — enough time to be confronted and delighted but not enough to absorb and understand. I look forward to the chance to return to the city for a more thorough exploration.